Alison is a member of the Translational Modeling & Simulation Group in the Biomedicines Design department at Pfizer, Cambridge MA, where she is modeling and simulation (M&S) lead supporting the Oncology Research Unit. In this role she leads a team responsible for using M&S strategies to answer mechanistic questions, validate targets, select optimal compounds, translate preclinical data to the clinic and predict efficacious dose/regimen. SMi are excited to have interviewed Alison about her talk and career experience. A. Pfizer has been heavily involved in the discovery and development of antibodies for many therapeutic indications and ADCs in oncology. 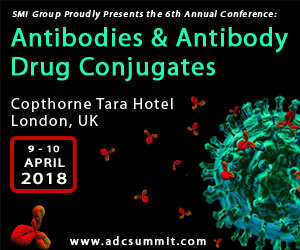 For ADCs this has included design of novel linker payloads, design of ADCs to many novel targets and several clinical studies with ADCs. As noted above, recently 2 of Pfizer’s ADCs (Mylotarg and Besponza) were approved. A. I am interested in the masking technologies for design of ADCs against targets which may be present in normal tissues, but use of a specific mask enables targeting of the ADC to the tumour environment. A. Key areas for development in the field of ADCs are combination with immune-oncology check-point inhibitors and other cancer drugs for potentially curative therapies. Alison’s main area of work is on novel biotherapeutic modalities including bi-specific T-cell retargeting molecules, CAR-T cells, targeted nanoparticles and drug conjugates for treatment of cancer.